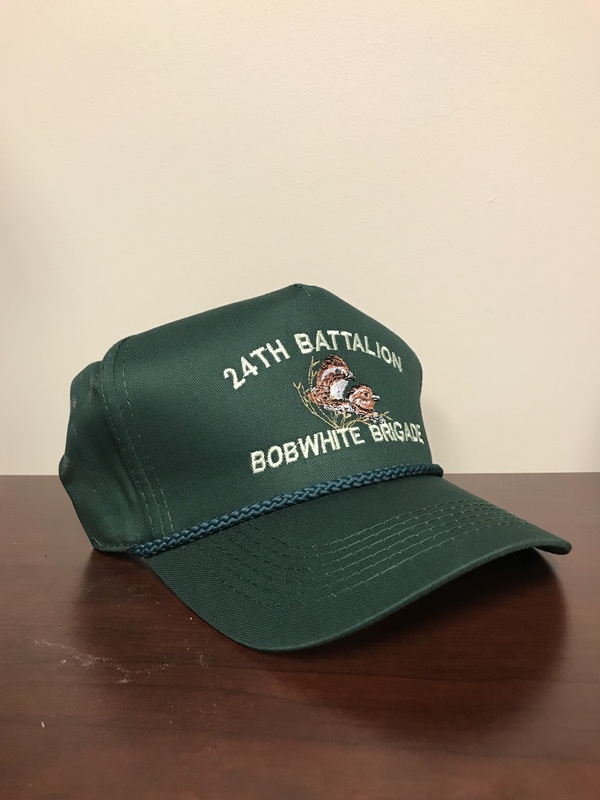 Celebrate the 24th Battalion of Rolling Plains Bobwhite Brigade with this dark green Captain's hat! Limited edition! 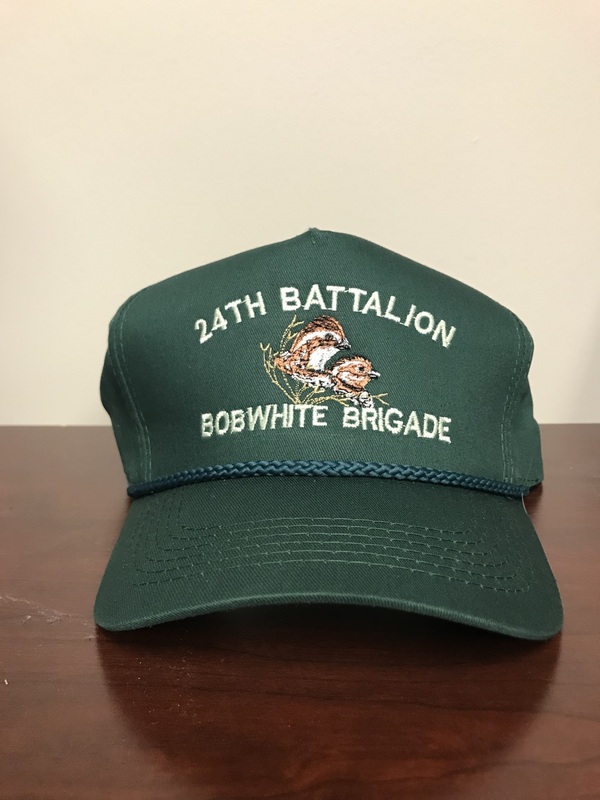 Embroidered text "24th BATTALION BOBWHITE BRIGADE" in light green, with a pair of quail centered in shades of brown, white, and gold. Adjustable back. Forest green cord accent along brim.